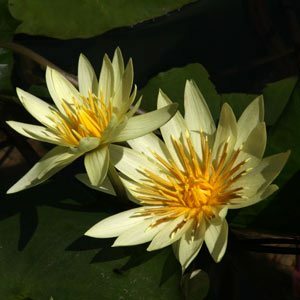 Water Lilies are an essential element in any garden pond and are available for sale online. And you can get dwarf varieties suitable for growing in containers, so why not take a look. The fragrant water lily or Nymphaea odorata is perhaps the most widely grown water lily. Water lilies are a floating plant that grow best in slow moving water or ponds where the roots can establish in silt. Water lilies do require a fair amount of sun to grow and flower properly. Remember that some water lilies require more warmth than others so ask before buying. Water Lilies are a fantastic addition to any pond, two types tropical and hardier cool climate varieties. Use an ordinary garden topsoil to pot water lilies, potting mix can be to light. Trim back the roots and remove dead leaves before planting. River pebbles placed on top of the soil can help keep the soil in place. 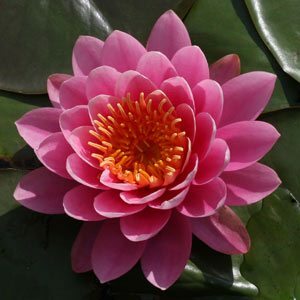 With giant and miniature water lilies available you will be sure to find a suitable water lily for your pond. Plant water lilies at 35 – 45cm deep with at least 1sq m of surface area for each plant. Fertilize plants regularly with a slow release fertilizer. Remember that water lilies need sun to flower properly, 6 – 8 hours a day. Water lilies flower in warmer months, a spell of cold weather during early summer can hinder flowering. Only the smaller varieties are suited to growing in water features, so be a little careful when choosing water lilies for this use. Specialising in edible water plants, marginals & native water plants with advanced growth sent in 75mm pots. 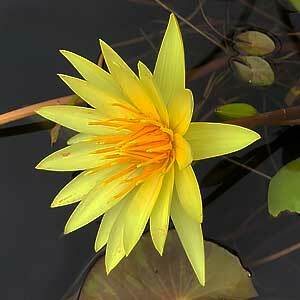 Specializing in growing a stunning selection of Hardy, Tropical & Miniature waterlilies. Cleaning, maintaining, repairing pumps and ponds, stocking with aquatic plants & fish & building water gardens. Aquatic Plants Drifwood/rock, supplements, test kits & more. Water tolerate plants, Australian natives, plus everyones favourites. Plus water features, pond needs, fish. Waterlilies, water iris, lotus, aquatic plants, fish, pond liners, ponds, water bowls,pumps 7 statues.